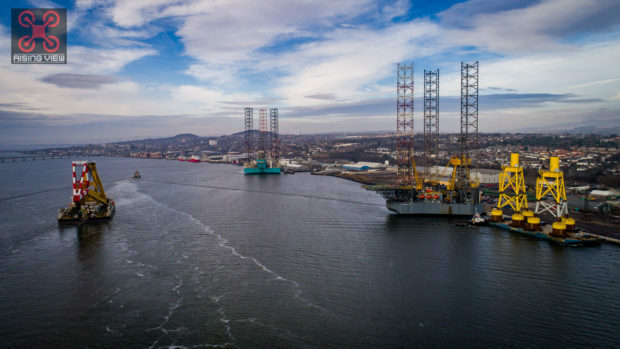 The massive Asian Hercules III arrived at Port of Dundee at around 10.30am after making its way down the east coast from Aberdeen overnight. 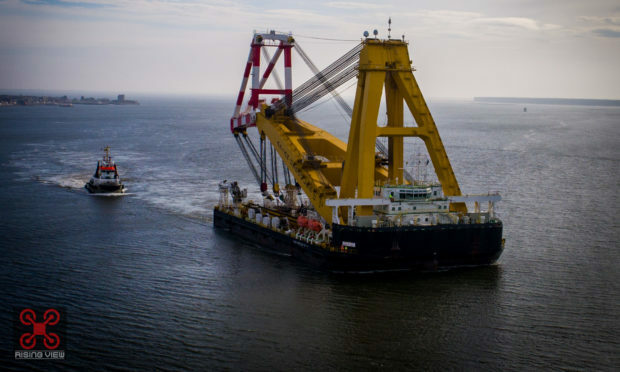 It is involved in Swedish firm Vattenfall’s European Offshore Wind Deployment Centre (EOWDC) project and is one of the world’s largest floating cranes. 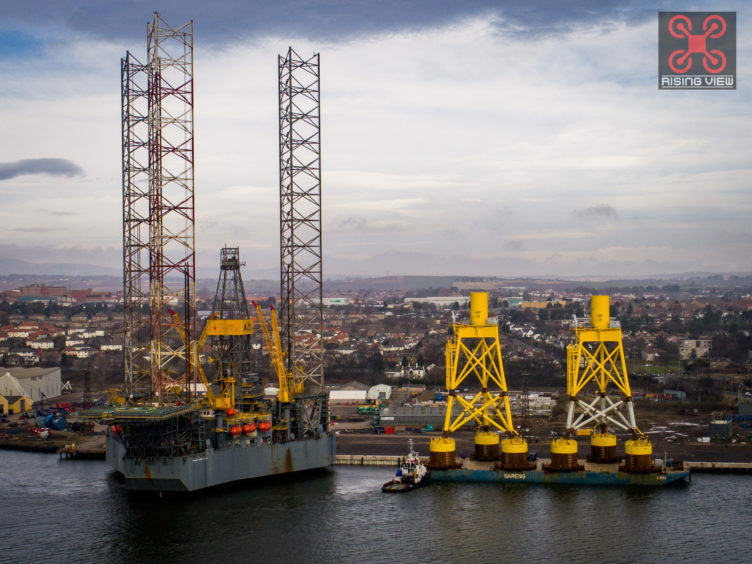 The Asian Hercules is being used to carry wind turbine foundations from Peterhead to the EOWDC in Aberdeen Bay. 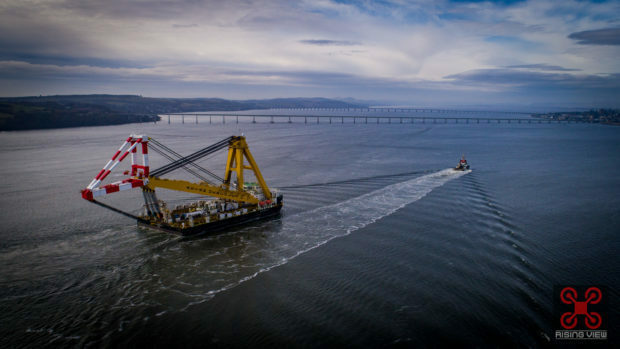 The 77 metre, 1,800-tonne steel jacket foundations are in Dundee after making their way by barge from Newcastle. 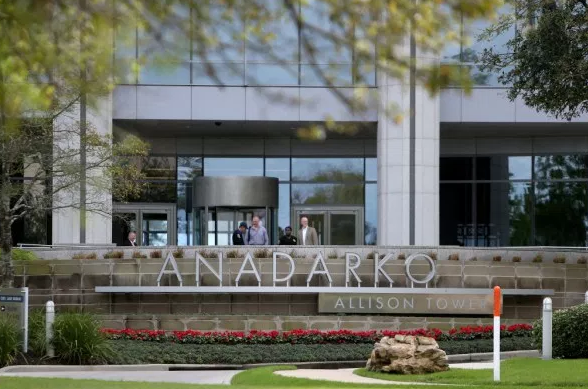 They had been due to be transferred to Peterhead by the Asian Hercules III earlier this month but the operation had to be rescheduled due to disruption caused by the Beast from the East weather. 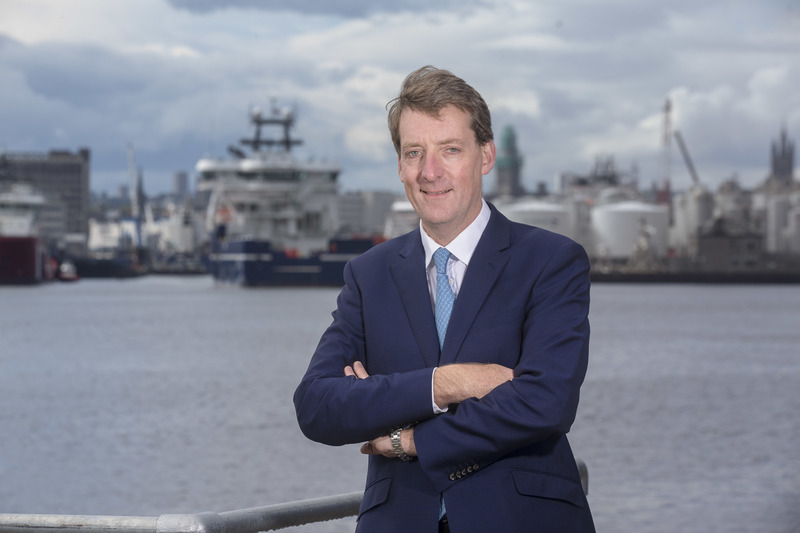 Adam Ezzamel, EOWDC project director at Vattenfall, earlier told Energy Voice : “We are looking forward to the first of the 11 EOWDC foundations being delivered later this month and the Asian Hercules III is back in position in preparation for this. The arrival of the Asian Hercules III was recorded by Dundee-based licensed drone operator Rising View.